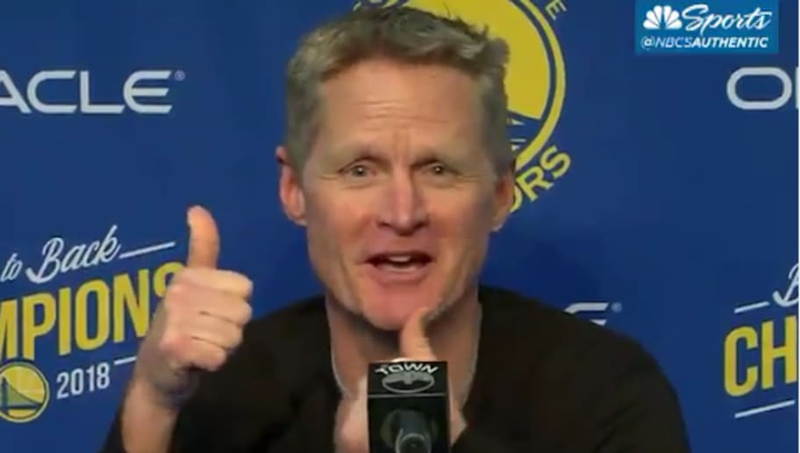 ​Golden State Warriors head coach Steve Kerr is doing his part for Bay Area professional sports. The leader of the NBA's most dominant franchise for the past five years gave his pitch to superstar MLB free agent ​Bryce Harper to sign with the San Francisco Giants. It's certainly in the ​realm of possibility given the recent four-hour meeting between both sides. ​​And who knows, maybe Bryce is watching Warriors' postgame pressers at home? After the meeting between Harper and the Giants, San Francisco club president Farhan Zaidi said there was “mutual interest on both sides." USA Today’s Bob Nightengale reports that the Giants are more interested in a short-term deal rather than Harper's reported request of $300-plus million. As the Harper saga draws on, there continues to be more questions than answers at this point. But what we do know is that Bryce in the Bay Area would add even more star power to one of the biggest markets in the country.